When one thinks of outreaching for Taiwan, it is quite unlikely that the first word that would pop up in mind be”music”. Taiwanese American, Peter Lin, is the leader and trombonist of the band, The Lintet. You probably have heard of The Lintet if you have been to the Keep Taiwan Free Rally these past few years. The Lintet specializes in playing jazz music, and hopes to provide free educational materials for musical learning. 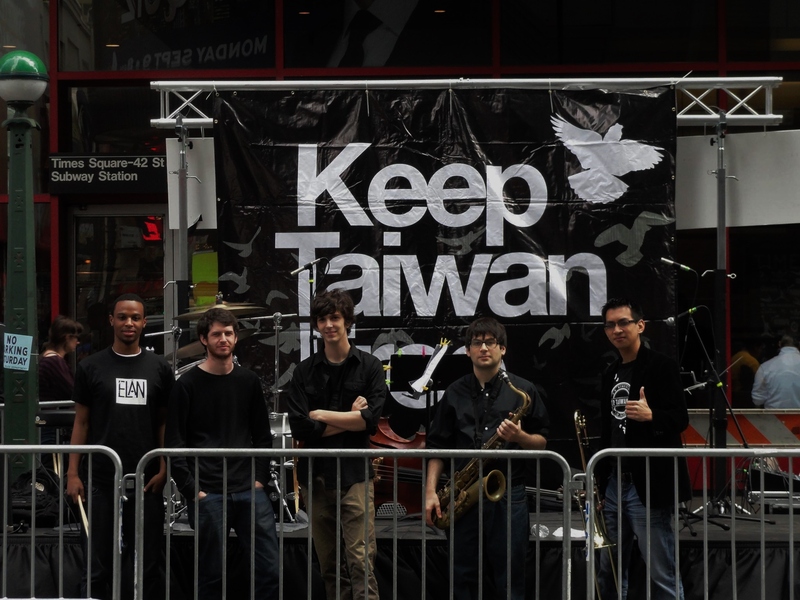 They have performed in a number of venues – ranging from bars, to street fairs, and even to our Keep Taiwan Free events. Not only that, but what makes The Lintet so special is that they also play jazzy renditions of Taiwanese folk songs, which will definitely spark fond memories of family and good times in Taiwan, and also outreach for Taiwan as they perform these tunes to audiences from all different backgrounds. Be sure to keep an eye on The Lintet’s exciting jazzy journey because they’re going places with their music. Big things are coming their way!